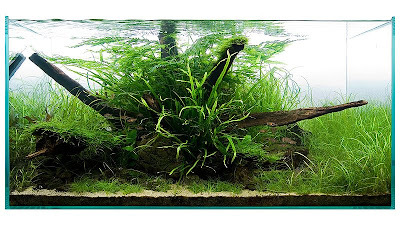 This aquascape is Norbert Sabat's entry to the 2008 IAPLC (ADA) Contest, with which he ranked 145th. 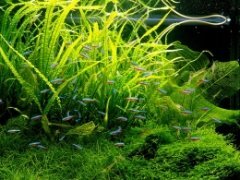 I love the open grassy feel of the entire aquascape, with great use of different grassy plants. I like the overall "mound" shape too. I think the only thing I'd change is the driftwood on the left side; maybe a less "heavy" piece would be a little less distracting. Find out more about this tank here, and more about Norbert Sabat in this interview. The link takes us to a language I cant understand! Yes, one of the links is in Polish, but you can still figure out the plants used and other useful information!